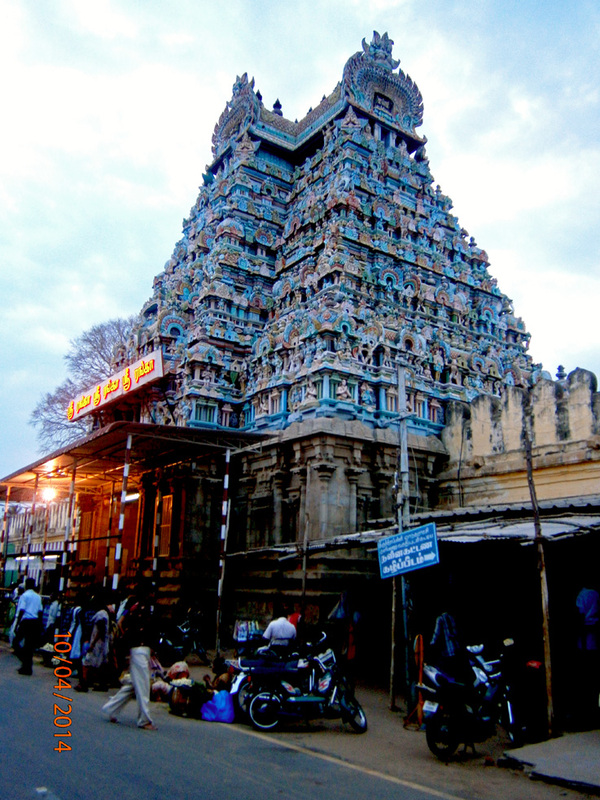 The morning was crisp, we woke up with the brightness of the Sun on horizon of Srirangam. A peep out of our modest hotel room was refreshing, the town which looked sleepy by late evening was already ripe with hustling on the street. 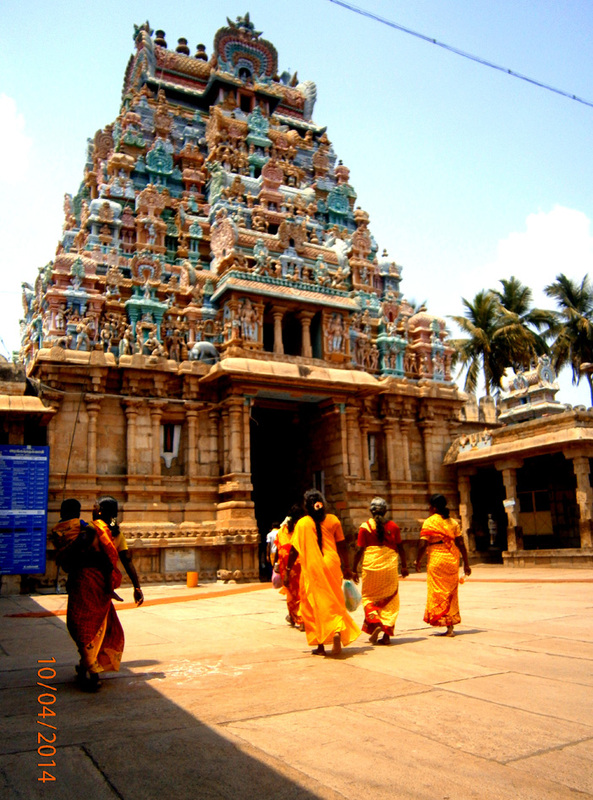 The first thing, that one cannot miss is to witness early morning ritual of people going to the temple. We inferred that is prime motivation for habit of early rising and of course it also helped to avoid the afternoon Sun in this region. Well, the heat in the afternoon is too strong which makes the entire town take a longish siesta from 12 noon to 4pm evening. The town is small with neatly carved out streets and tightly lined houses. Well, houses are mostly white in color and with the sun rising, the entire town has a shimmer around it. Future is what, I behold. The houses have well decorated entrances and windows which over the white layout make it fascinating treat to eyes. We went out on the Uthra street eager to get our cuppa of freshly brewed coffee. A small shop on the street offered us with sumptuous aroma followed by the indulgence. The local coffee is one of the better ones available in the region. One cannot miss the brass filters that the shops use for filtering the coffee. It has a role to play in providing the brew its distinct flavor. 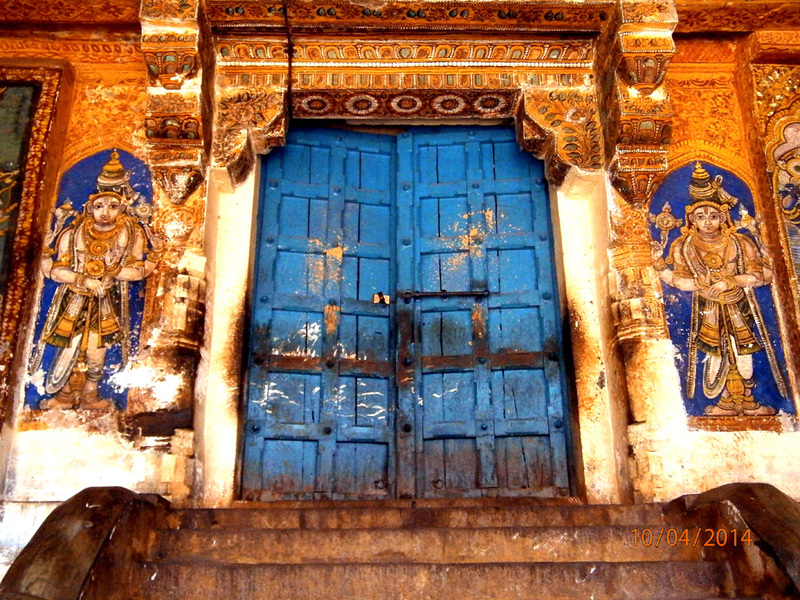 Our trip to the temple was mesmerizing with grand sculptures, raised domes and huge sanctions inside the temples. It takes a while for one to go through these and admire the beauty these structures inherit. Best part is sanctorum of the temples are much cooler even in the afternoon Sun and makes the afternoons easy for the locals. Looking for an early lunch we ended up having the ubiquitous idli, sambar and dosa combination. We always feel the sambar in regions in south vary and this one also had its spicy variation added to it. This was followed by the sumptuous treat of tender coconut water. This is the most healthy food one can have here and for days together. 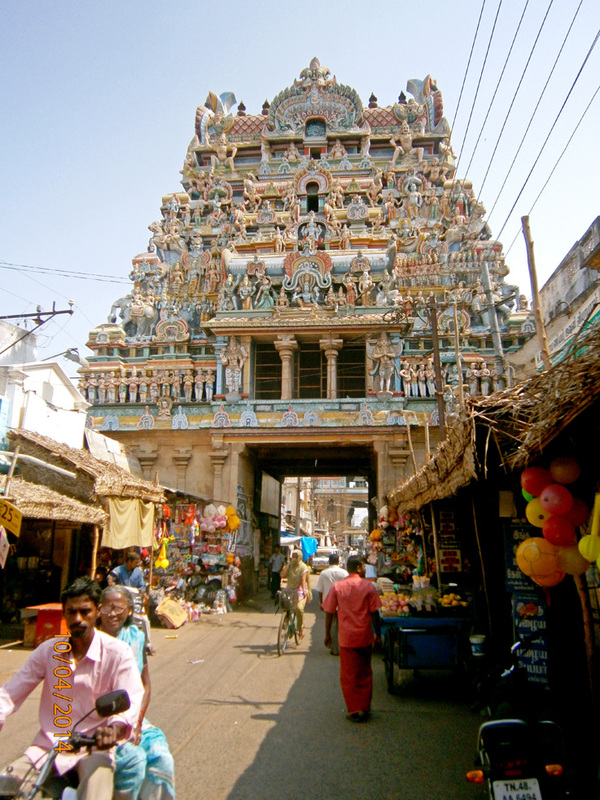 By evening the life in the town, we feel get geared towards the daily procession in the temple. Here the priests carry out the deity around the temple. Locals and visitors queue up to see it and then go home for a peaceful sleep. 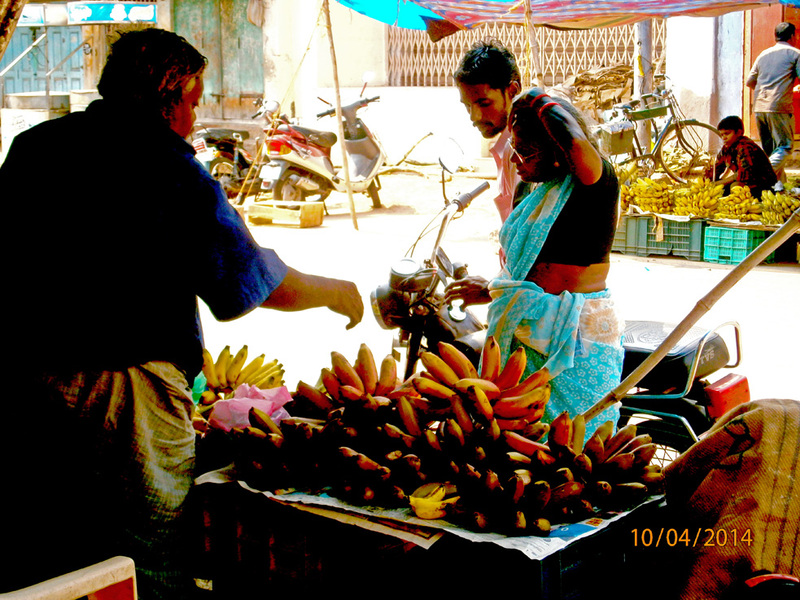 Must admit the life is pretty simple in this town with chores of most of the people built around temples and rituals. This aspect of their lives, we think, builds great humility in people. By the end of the this trip we realized that life is pretty simple and happiness is very easy to find. 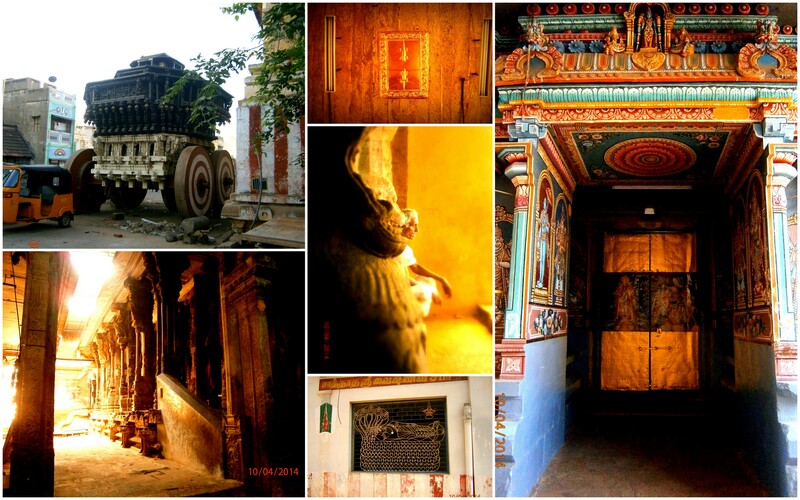 We leave you with a collage of images of Srirangam, as itched in our memory. Thank you for your comment. Indeed our aim with ‘UnCrushed Leaves” is to travel and explore lesser known places. Hope to get feedback from you in future as well. Congratulations. 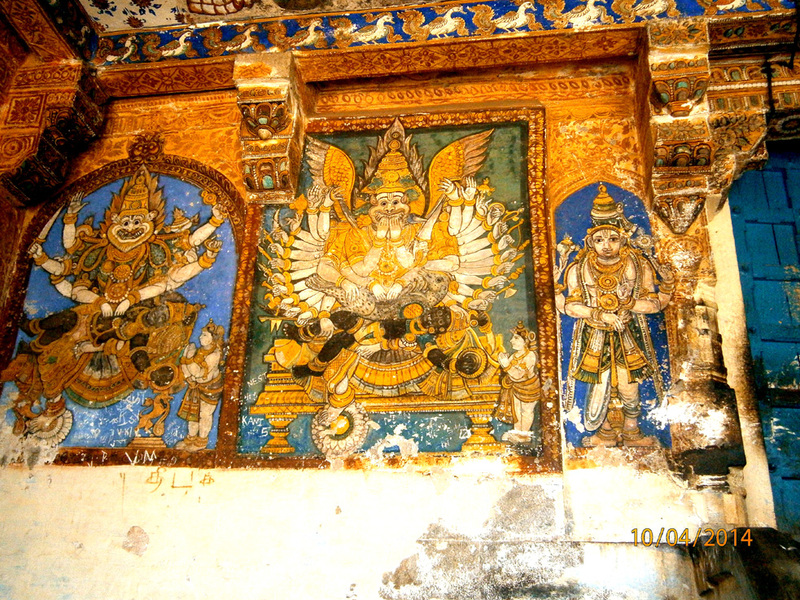 Beautiful narration & mesmerizing photographs of srirangam. Thank you for your comment. Our endeavor is to showcase experiences of lesser known destinations in India. Thank you for encouragement as we tread this path. Beautifully potrayed the simplicity and beauty of the place.. Thank you for your comment & encouragement as we tread this path. Request you to be part of our blog to catch new postings. Thank you. Shall have new updates soon.